Kimi improves to a 1:37.132. Kimi improves to a 1:36.718. It seems like Rosberg is on a race simulation. Rosberg is lapping about in the 1:40's, Kimi did a lap 0.1 from his personal best on soft tyres, he is in and out of the pits. Now Rosberg is running in the 1:42's. Another red flag for Lotus. 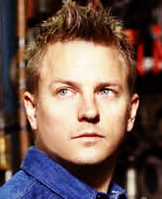 Kimi is properly on lunch now, his lap count has been standing still for a while. Roseberg done a full race sim. Kimi is back out again.